Richie Munoz, has made his mark on the world from serving our country as a United States Marine to becoming, one of the best barbers in the New Jersey area. 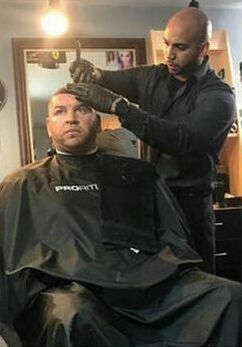 Throughout his barbering career, he has worked with the stars of “The Jersey Shore” and now teaches advanced barbering techniques to hair stylists in New Jersey. Join us on March 11, 2019, at StyleCare Salon Services at StyleCare Salon Services to take your skills to the next level. Seats are limited and filling up. Don’t miss this opportunity to take advantage of product and skill knowledge that only Richie can provide! ​CLASS FOCUS: Advance Barbering Techniques that will take your skills to the next level. New hair styles that are taking over barbershops. In depth Product knowledge like you never seen before. Tips and Tricks on tackling all fades to increase your male clientele base.